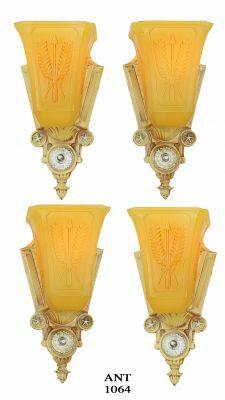 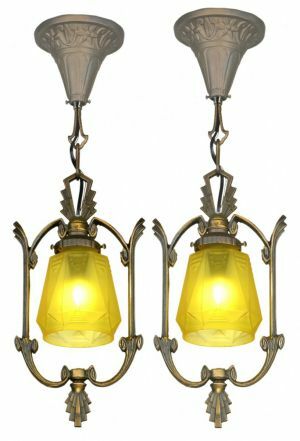 These are lovely slip shade light fixtures originally made by Lincoln Lighting Co., circa 1930 in the Art Deco style. 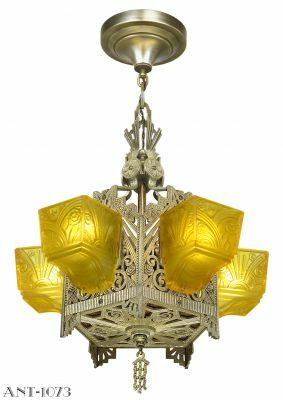 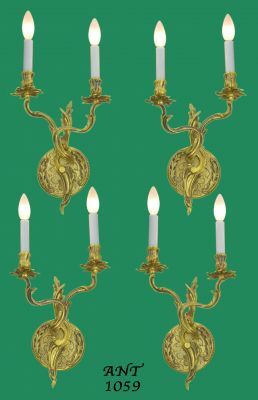 This six-light is solid brass, and has five slip shades with a lovely matching center bowl shade at the bottom. 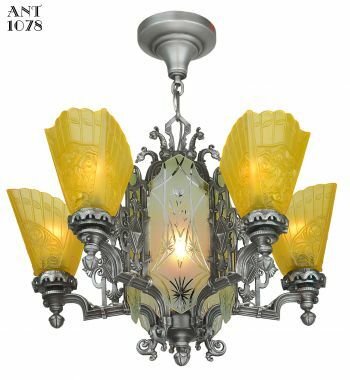 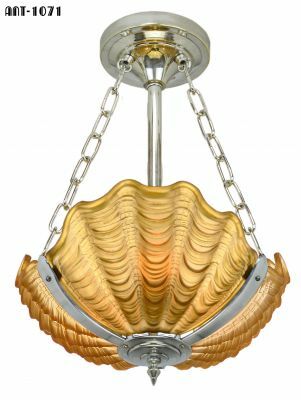 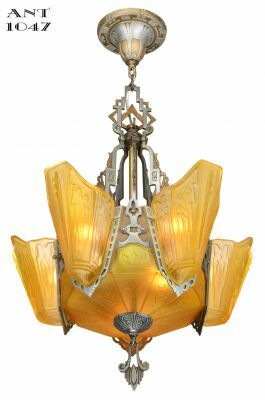 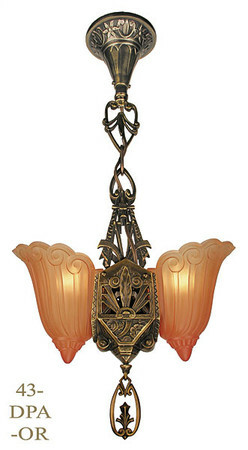 Also splendid as an entry chandelier or in a large foyer. 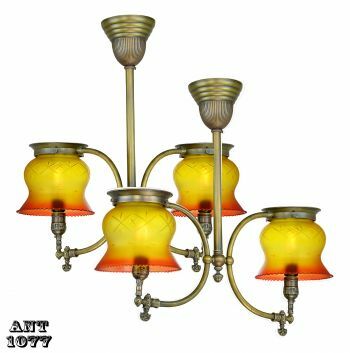 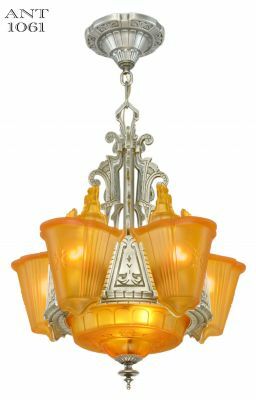 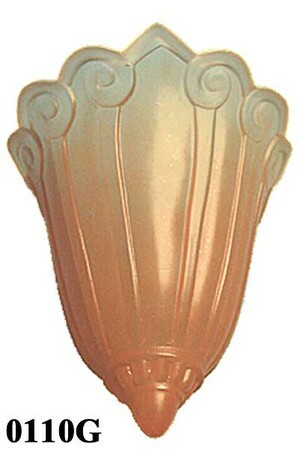 Shades are sold as a kit with this fixture, and a choice of frosted or orange-tinted shades is available (as shown), in addition to the choice of finish. 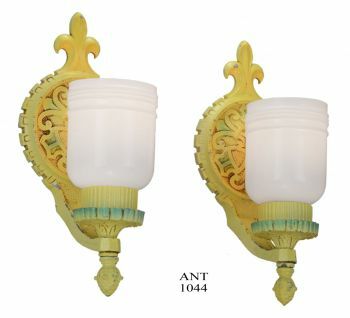 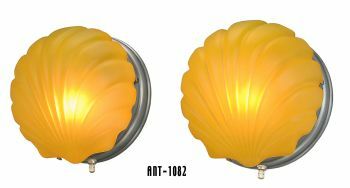 If you have an original Fleur de Lis fixture and need replacement slip shades only, we now offer them separately. 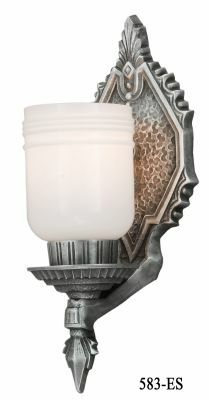 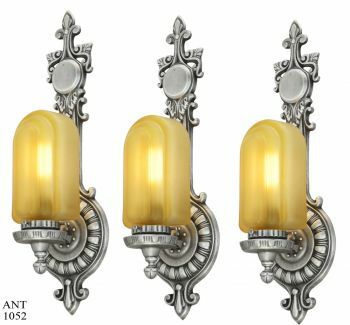 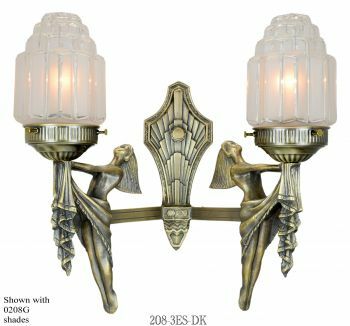 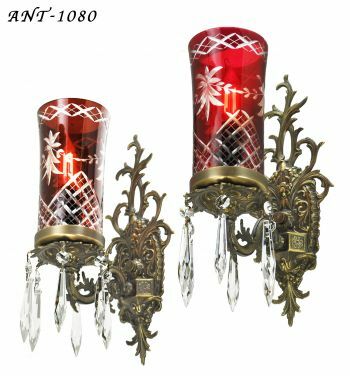 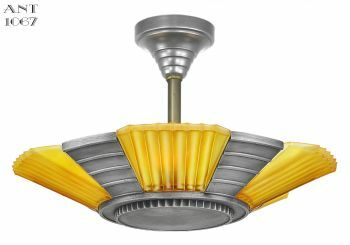 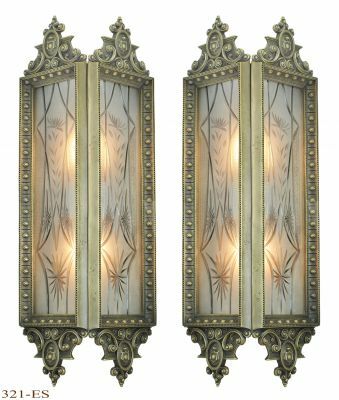 Please scroll down to see pictures of the fixture in the nickel-plated finish with frosted shades. 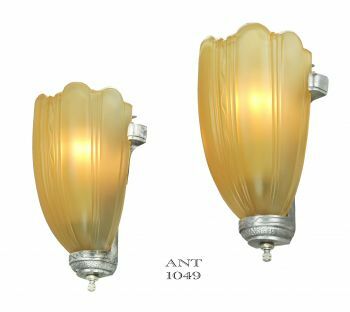 A matching fixture without the bottom shade, wall sconces , a two-light hall pendant , and a short five-light are also available from us. 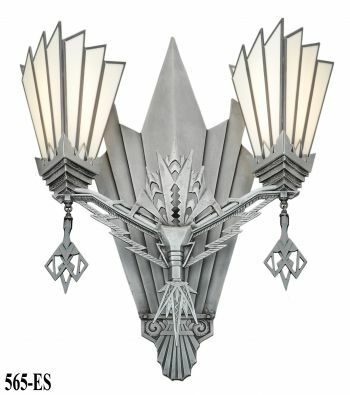 This item requires special shipping. 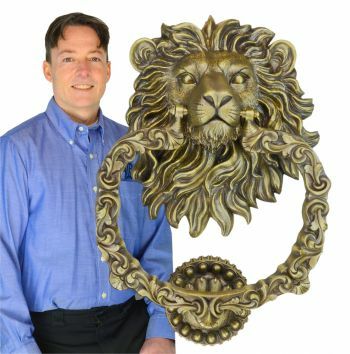 A default freight charge will appear on your shopping cart. You will be billed for actual freight. 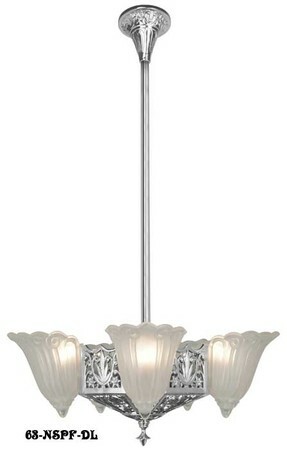 Measures 48" in length, but can be altered to be as short as 38" in length. 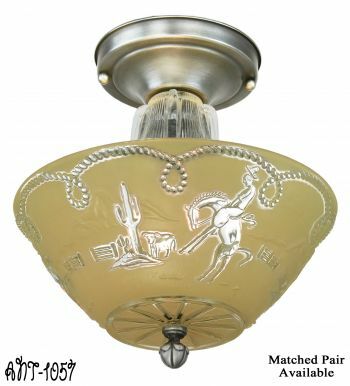 The spread of the fixture is 19" with the shades. 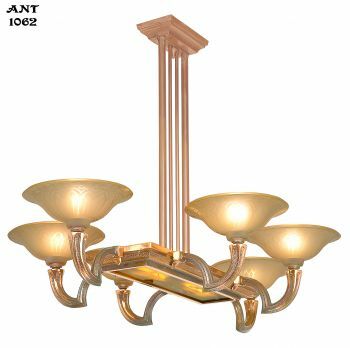 If you have a shorter ceiling height, ask for the Short Ceiling Kit, for a total height of 26 1/2". 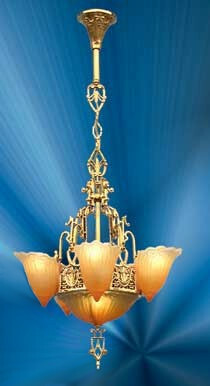 For two-story or high ceilings, ask about buying extra hanging chain. 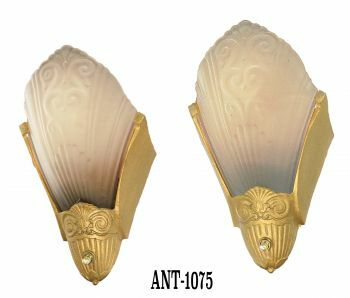 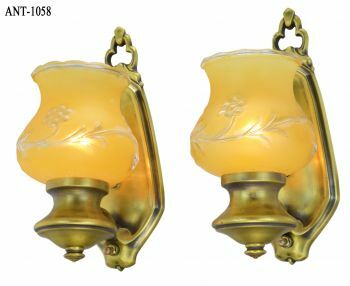 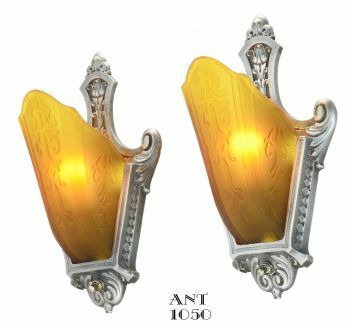 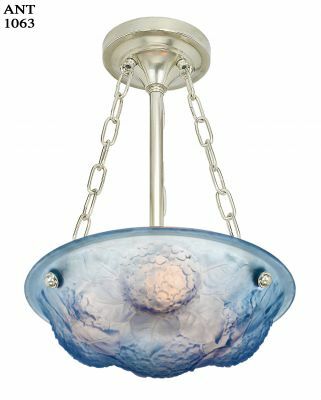 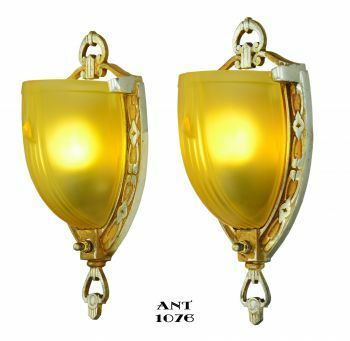 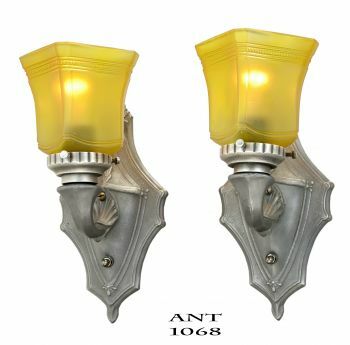 These fixtures are rated to 100 watts per shade, for a total of 600 watts possible.